Which brings us to where we find ourselves today. The IMF (International Monetary Fund which is a global central bank), the EU (European Union), and the ECB (European Central Bank) have been put in charge of stopping a financial contagion and “bailing out” all countries as we move forward. If the markets get through the Irish elections unscathed, then the focus will move to the next countries facing a debt crisis. For a complete analysis on the next countries on deck please read Up Next: Portugal and Spain. 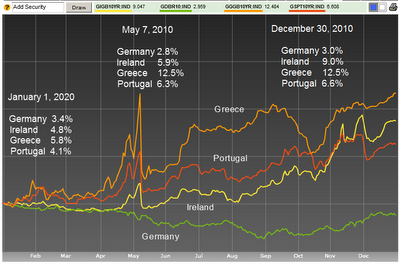 If the Eurozone survives these two bail outs then the contagion will move to Italy, Belgium, and then France. The banks of all European countries hold an enormous amount of sovereign debt. If a country were to fail, it would be like setting off a landmine in a field of landmines. A bank would fail due to the massive losses incurred, which would subsequently create losses for another member bank, and the chain of explosions would continue. This is known as contagion, and it is was what we witnessed during the fall of 2008 when Lehman brothers failed. In order to stop the contagion our government and central bank had to pay, insure, or guarantee a total of $22 trillion in debt, as well as change accounting laws in order to calm the markets. 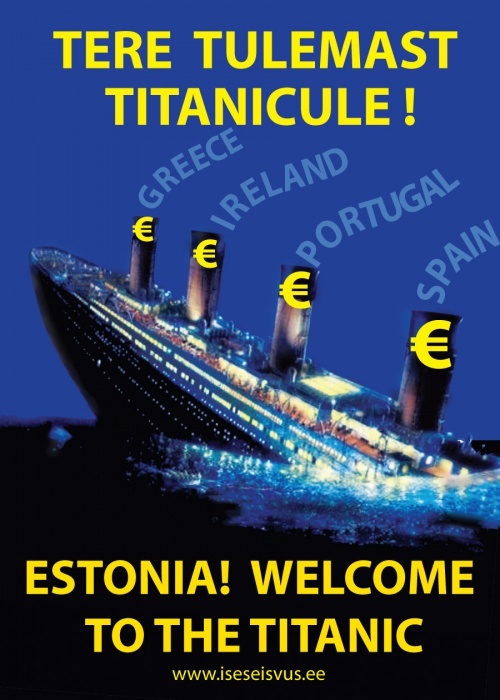 The bankruptcy of a European country would be the equivalent of a Lehman brothers failure, due to the nature of interconnected banks around the world. The EU has created a bail out structure that does not even cover the current cost to bail out Spain. My guess is that when push comes to shove, the ECB will step in and physically print the money needed to ensure the markets that no failure will take place. People assume that Germany would instantly object to this inflationary move because it would hurt the global standing of the euro currency. However, the German economy is based on exports and their political leaders can “talk” about their disgust at the anti-currency decisions yet at the same time enjoy a boost to internal industry. In addition to the European Union imploding from within, the United Kingdom, Japan, and the United States all face a coming sovereign debt crisis. As discussed during the introduction, it is not a matter of if, but when, for these developed nations. My opinion is that either the UK or Japan will experience a run on their debt first and the United States will be the last. The United States will be the grand finale to the global sovereign debt crisis, and its slow move toward complete destruction will come in stages. We will now discuss how the 2011 version of the US debt crisis will unfold.